In order to maintain a competitive edge in the 21st century marketplace, businesses need to dramatically reduce operating costs while maintaining the integrity, reliability and performance of their IT infrastructure. Cloud computing provides affordable, scalable, on-demand access to your company’s computing services in order to streamline the deployment of and access to business critical resources. While the cost savings and increased agility of cloud computing are widely recognised there remain some crucial obstacles that must be overcome in order to ensure a successful move into the cloud. Migration into the cloud is not without risk; organisations often cite application complexity, security, interoperability and portability as barriers to the adoption of cloud based technologies. Every application has a unique set of requirements and dependencies that need to be carefully considered before migrating into the cloud; no two businesses are the same, and no two applications are either. How do I gain a detailed understanding of how my existing applications work? How do I migrate interdependent applications that have been implemented in diverse languages? How do I ensure functional equivalence in the target technology? How to maximise reuse and maintainability? What migration strategy best addresses my needs? Answering these questions will ensure that you select the correct technology, strategy and architecture to mitigate risk and get the most out of the cloud. Our Cloud Explorer has been specifically developed to automatically analyse your existing technology landscape and provide the answers you need. Using our unique process, the Cloud Explorer automatically analyses your existing software and builds a comprehensive, navigable view of your applications. The Cloud Explorer generates a model linked to use cases which document the prime capabilities of the existing system traced to their implementation. This provides a complete picture of your existing implementation. 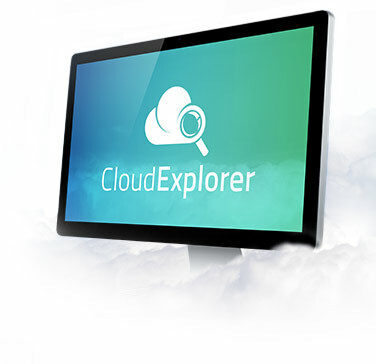 Cloud Explorer produces a multitude of views and detailed reports providing the answers you need.